It´s a wonderful time to give and to receive gifts at Christmas! I love to give gifts to my family and friends and enjoy the moment when you give a gift and the people feel very happy and surprised. I love this feeling!! Christmas is the time to share and it´s important to be happy and enjoy this celebration. 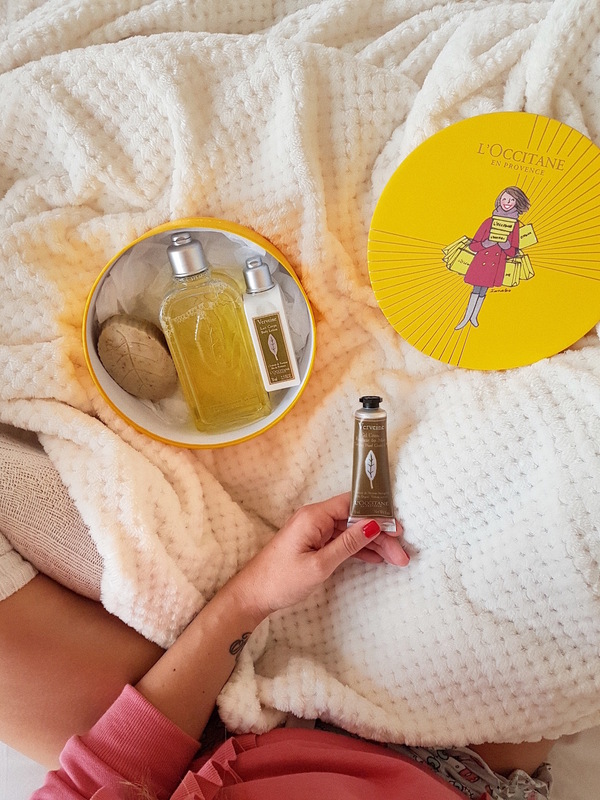 My face was beyond excited when I received the perfect gift from @LOCCITANE_UK with some of my favorite beauty products from this amazing brand. I love this Reviving Verbena Gift Set (the perfect antidote to winter) with these products : 250ml Verbena Shower Gel , 70ml Verbena Body Lotion , 75g Verbena Leaf Soap , 30ml Verbena Cooling Hand Cream Gel , in an amazing L’OCCITANE signature gift box. If you are looking for the perfect gift don´t miss to check the Christmas selection of presents with different options to choose from : fragrances, luxury bath and body products, home fragrances, candles and gifts sets. You can find amazing products like a beauty advent calendar , a festive crakers collection , festive bauble with products inside !! And don´t miss the option to add a gift message to your order, helping you to create the perfect present. When you receive a gift every detail is important ! !